HTC has released their new flagship for the year 2014, the HTC One "M8" also known as HTC One 2014.However,apart from the same name its leaps ahead of its predecessor. The phone is powered by a quad-core Qualcomm Snapdragon 801 backed up with 2GB of RAM. Storage wise there’s 16GB of space, Unlike the HTC One, the handset supports microSD up to 128GB. Meanwhile, power comes from a 2600mAh battery to keep you going. The HTC One M8 comes with Android 4.4 KitKat right out of the box. That’s topped with the brand new Sense 6, HTC’s exclusive operating system. It now allows you to pick your own fonts and colours as well as a fully customisable updated version of BlinkFeed included. BlinkFeed is a home screen, which packs all your social networking, news and photo notifications into one handy screen.Google play edition of the phone will also be available soon,which will provide a Stock Android "experience". 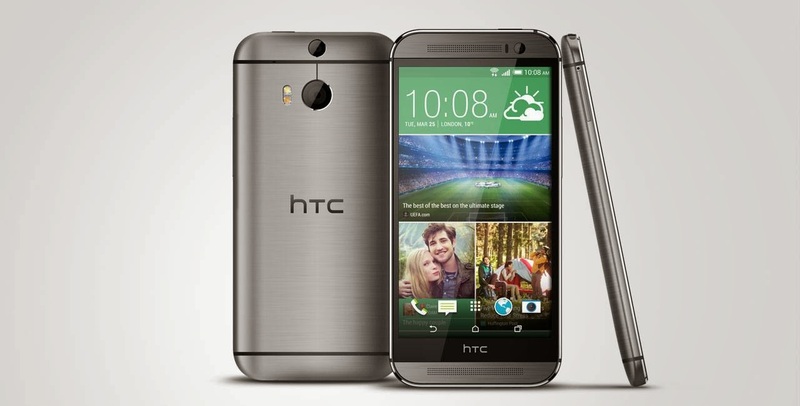 HTC M8 features a dual 4MP UltraPixel rear camera with autofocus and two tone flash. the sensor size is 1/3" and each pixel is sized at 2µm.The rear camera supports 1080p video recording at 60fps with automatic stabilization. The front camera is a 5MP unit which is perfect for selfies and 1080p(30 fps) recording. The phone still features its unique aluminum unibody, which look quite similar to the original HTC One. HTC has refined the design somewhat, with more curved surfaces and a more comfortable grip.The hardware buttons, previously located on the bottom lip of the One, are no longer there; instead the device uses Android’s on-screen touch controls. There are stereo front-facing BoomSound speakers, which have new amplifiers to make the audio quality even better. HTC’s One M8 has a 5-inch display with 1080p full HD resolution at 440ppi. It’s a Super LCD 3 screen and HTC insists the display has improved upon the technology in the first handset. Apparently,it looks better than HTC One's display. HTC one will face tough competition from the likes of Galaxy S5 and Xperia Z2, and only time will tell which one of them will be the winner. What do you think about the phone?? feel free to comment.